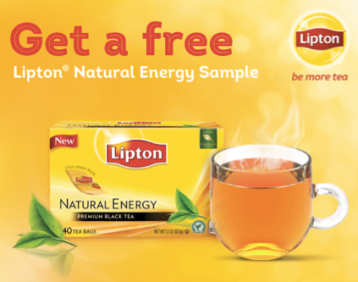 FREE Lipton Natural Energy Black Tea Sample! Hurry over to the Walmart site to snag a FREE Lipton Natural Energy Black Tea sample! To get it, you'll need to create a Muppets themed eCard (takes just a few seconds).